Whether you have a simply pieced quilt or a large plain border you want to dress up with intricate quilting you can do so by quilting curves, lines and other designs all together in one space- Heather Thomas shows you how. 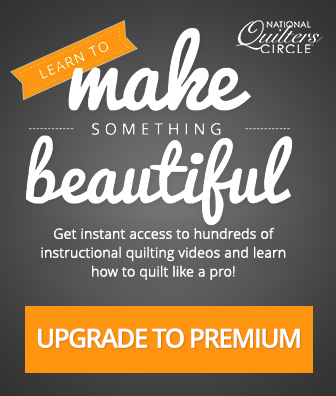 Heather first begins by showing you the types of quilting curves and shapes she likes to put together and explains what kinds of quilts and borders this type of quilting works well on. She also gives examples of different types of quilts and fabric that you wouldn’t want to do this type of more intricate quilting on. Heather then shows an example piece where she has quilted five different quilting designs cohesively on one piece. The five designs are several large flowers and feathers mixed in with multiple circles, swirls and echo quilting. After explaining what she is going to quilt she demonstrates each technique. Heather first begins by quilting the larger of the designs, which are the flowers and feathers. She demonstrates why you want to do this first and shows how to space several of them around on a piece of fabric. Once those have been completed she fills in the space between them with the smaller quilting curves like circles, swirls and echos. Heather shows how to accurately stitch small circles in an area while giving tips on how to make them look as polished as possible. 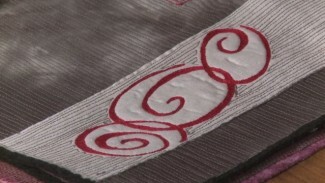 She then moves on to show how to stitch swirls in various sizes that also go in multiple directions. Once those main designs have been quilted Heather shows how to fill in more background space with echo quilting. 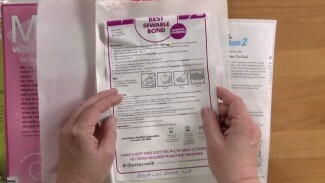 She also explains how echo quilting can be a good way to help you move from one section of the quilt to another. Master each one of these quilting designs and incorporate them into your next quilt or border or learn more tips for enhancing quilt borders.